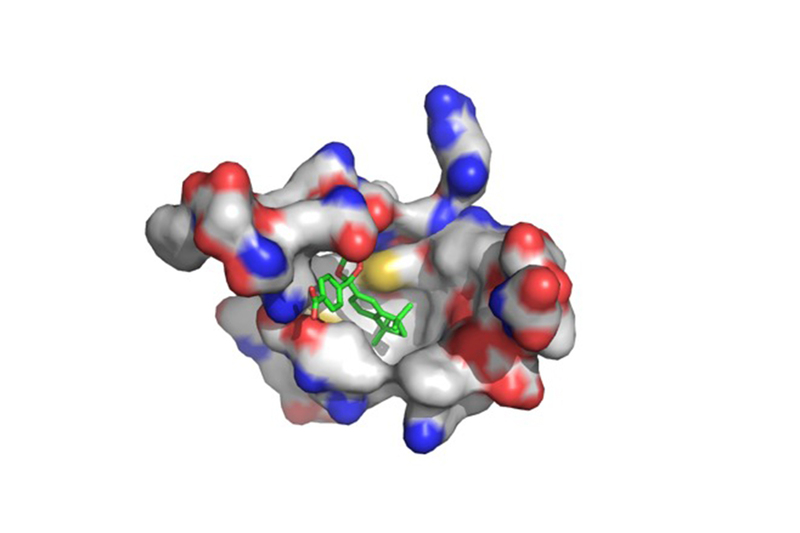 The new compound, shown in green, fits precisely into the active site within the target protein, retonoid X receptor. New compound that targets a receptor within sarcoma cancer cells shrank tumors and hampered their ability to spread in mice and pigs, a study from researchers at the University of Illinois reports. Illinois researchers developed a new drug candidate that targets a receptor inside sarcoma cancer cells. 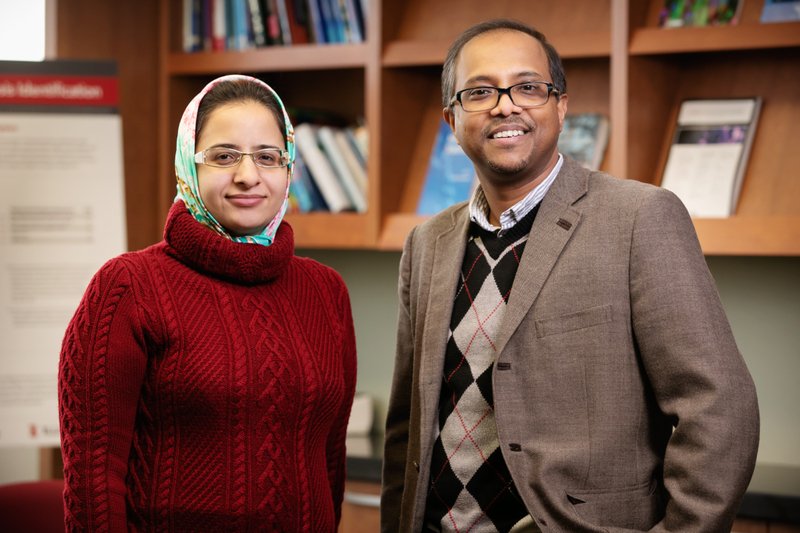 Pictured are graduate student Fatemeh Ostadhossein and bioengineering professor Dipanjan Pan. They began by computationally screening more than 20,000 compounds, looking for structures that would best match the RXR target. They narrowed the field to a handful of candidates, then picked the most promising one to synthesize in the lab. After producing the compound, the researchers found that it doesn’t dissolve in water – which means it won’t be easy for the body to use, Pan said. To solve this issue, the group designed a nanoparticle within which the drug candidate could be packaged for transport and delivery inside the cancer cells.The researchers tested the compound for efficacy and toxicity, first in tissue cultures in the lab, then in mice with tumors that formed from injected cancer cells, then in oncopigs that had developed sarcomas of the skin. They found that their new drug candidate was more than three times more effective than currently available drugs, Pan said. Not only did the tumors shrink, but the cancer cells were less likely to multiply and were less mobile, reducing their ability to spread to other tissues. The researchers did not see any significant toxic activity, but they did observe minor side effects that seemed to subside over time. They cautioned that further study is needed to determine side effects and effective dosages.